New construction on close to a half acre! Beautiful view of the golf course! 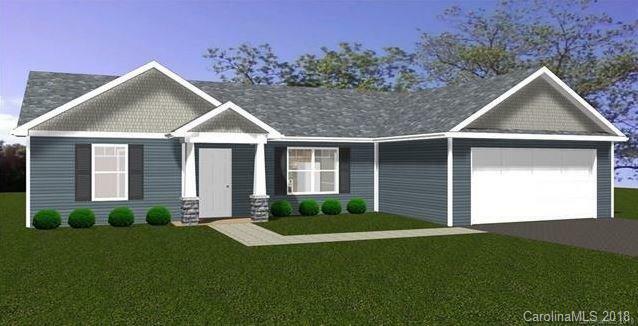 The Caden plan is an extremely functional floor plan with no wasted space. Purchase price includes several upgraded features. Granite in the kitchen, 9ft. ceilings, LVP flooring in kitchen and living area, 36 inch cabinets with crown molding. Huge walk in closet in the master. Island in kitchen. Double vanity in mater bath. Highly desired Lincolnton location. Preferred lender offering 2000.00 off of closing costs! Sold by Highscapes Properties, Llc. Offered by Highscapes Properties, Llc. Copyright 2019 Carolina Multiple Listing Services. All rights reserved.